They’ve gone for the old buy one get one free model. TRADITIONALLY, ALL-FRENCH European Cup finals have been a pretty hard sell. Lansdowne Road hosted two, in 2003 and 2013, and neither game managed to sell-out. The 2003 decider, between Toulouse and Perpignan, was particularly bleak. Munster and Leinster were the beaten semi-finalists that year and every Irish rugby fan was overflowing with excitement at the prospect of an all-Irish final at Lansdowne. The game was poor too and the most interesting thing about it was when the camera cut to the stand and a fan had actually fallen asleep. There appears to be similarly low-interest levels around Clermont v Toulon this year. Despite having 30 world class players involved, the game will be nowhere near a sell-out at Twickenham and there is currently a unique deal available to increase the attendance. If you purchase a ticket on the Aviva Premiership website for their final, you get a free Champions Cup final ticket. When the English and French clubs broke ranks to end the Heineken Cup, they couldn’t have envisioned such a low level of interest in the inaugural Champions Cup final. The worst thing is that the 2015 Heineken Cup final was scheduled to be played at the San Siro in Milan, so fans were robbed of a potentially fantastic occasion. Another reminder that change is always good except when it’s bad. H/T to reddit user RonnieRosenthal. Email “The organisers of the Champions Cup are VERY desperate to shift final tickets”. 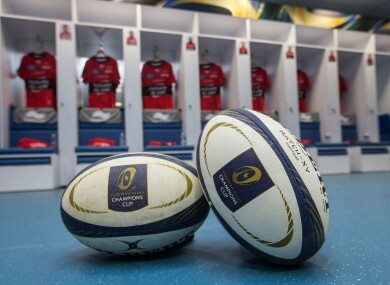 Feedback on “The organisers of the Champions Cup are VERY desperate to shift final tickets”.